Evelyn Jean Silva of Gambrills, MD passed away on September 11, 2018. She was born to Allen J. Newby and Bertha M. Newby in High Point, North Carolina. She is survived by her daughters Cecelia M. Moore, Victoria S. Galpin and her husband Timothy, as well as her grandchildren Jessica Galpin and John Galpin. She was preceded in death by her loving husband CSM Manuel Silva, USA (Ret.). Evelyn credited being raised by her parents in Washington DC for instilling in her a deep respect for the military. A graduate of Mckinley Technology High School, she loved to sing and perform for the USO Youth Group as well as church choirs, notably the Basillica of the National Shrine of the Immaculate Conception. While working at the Pentagon, Evelyn met and married her husband Manny, who was a member of the 3rd U.S. Infantry Regiment (The Old Guard). Throughout their career in the U.S. Army, Evelyn and Manny enjoyed postings to Pennsylvania, Germany, New Jersey, Virginia, and Hawaii before retiring to Fort George G. Meade, MD. Evelyn was an active member and officer of various chapters of the NCO Wives Club and Army Community Service. 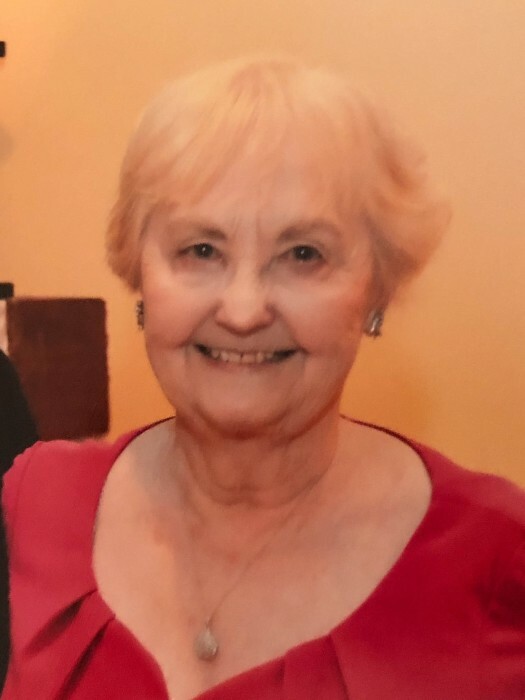 After her retirement as a realtor, she continued her volunteer activities at Fort Meade with the USO, Enlisted Spouses Club, and Post Thrift Shop, where she was especially active with the scholarship program for children of military servicemembers and retirees. In 2007, Evelyn was awarded the Mary E. Walker Medal from the Military District of Washington, “For demonstrating dedicated exemplary volunteerism that improved the quality of life for soldiers and their families.” As of 2017, Dr. Mary E. Walker was the only woman to have ever received the Congressional Medal of Honor. In 2010, the Fort Meade Enlisted Spouses’ Club voted unanimously to create the Evelyn Silva Scholarship Award of Excellence to honor Evelyn and her passion for service. The scholarship is awarded annually to the graduating high school student who best exemplifies her dedication to community service while demonstrating academic excellence. The family will host a celebration of Evelyn’s life on Wednesday, September 19, 2018 from 2:00-4:00 PM and 6:00 to 8:00 PM at Donaldson Funeral Home, Odenton, MD. A funeral mass will be offered at Our Lady of the Fields Roman Catholic Church in Millersville, MD at 11:30 AM on Thursday, September 20, 2018. The family respectfully suggests that memorial donations be made to The Alzheimers Association at https://www.alz.org/get-involved-now/donate in lieu of flowers.